You may have heard the media and various websites portray Acai Berries as helping with weight loss. That is mostly hype. Acai Berries have nothing to do with losing weight. However, Acai berries are very high in antioxidants which are healthy for you. Antioxidants, also found in blueberries, raspberries, cranberries, blackberries, strawberries and other foods, fight “free radicals” in your body. Free radicals are molecules produced by your body that cause it harm, and may possibly cause heart disease and cancer. Some studies show that antioxidants like Acai Berries fight those free radicals and can help prevent disease and aid in the anti-aging process (listen up ladies). Acai Berries are small purple, reddish fruit found in Central and South America. 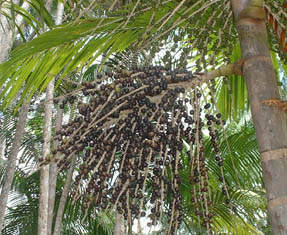 They are grown on the acai palm tree and are known to have “superfood” qualities. Don’t believe the hype on Acai Berries assisting in weight loss. Some websites toute that acai berries’ fiber and essential fatty acids burn fat more efficiently and reduce your craving for food. 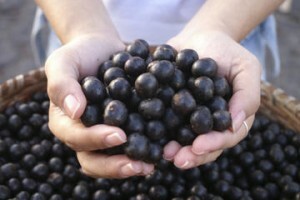 False claims also say acai berries boost your metabolism and cleanse your body of fat and toxins. This is just downright unproven. If you are wondering how these websites can make false claims, it is because over the counter drugs, supplements and foods are not held to strict regulations like prescription drugs are. If you are here reading now, then you are interested in bettering your health and receiving real information.